Let's finds out whether it's worth paying extra for a Kindle with a touchscreen. We're still waiting for the color Kindle Fire, but at least the Kindle Touch has made it. 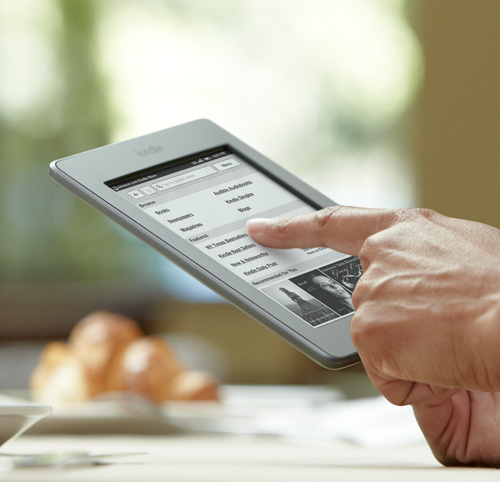 But do the touch screen and new tools offer enough to warrant splashing out on the latest version of the e-reader? The Kindle Touch takes the classic Kindle design and adds a touchscreen, so you turn the pages of your book by tapping them, rather than pressing buttons on the case. 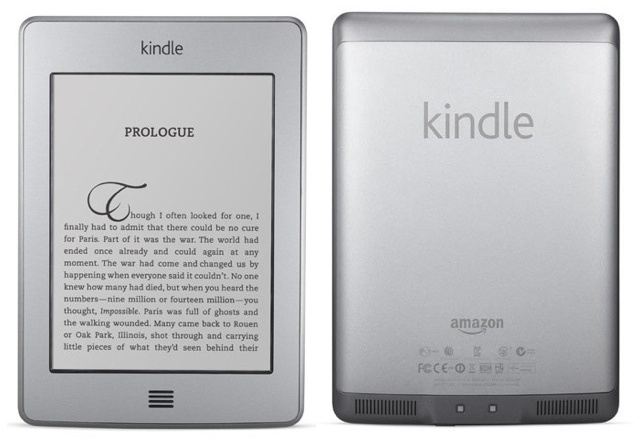 The screen is the same 6in size as the non-touch Kindle, but because the touchscreen's sensors are built into the surrounding plastic case, the device itself is bigger and heavier. However, it's still lighter and more portable than a tablet. You tap or swipe across the screen to turn a page, and swipe up and down to skip through chapters. This is more convenient than the original Kindle's button presses, but compared to other touchscreen devices, such as tablets and phones, the screen on the Kindle Touch is frustratingly slow to refresh, making it feel sluggish and old-fashioned. 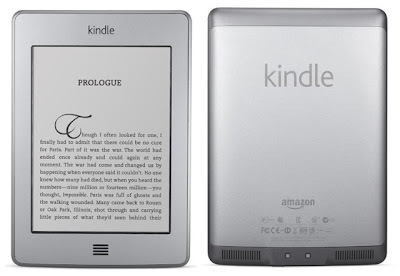 Searching and selecting books from Amazon directly from the device is much easier than on the non-touch Kindle, but you still wouldn't want to spend too long browsing the bookstore because the slow-moving screen will start to get on your nerves. The on-screen keyboard lets you add annotations and perform searches, and is fine for making short notes and typing search terms, but awkward for entering longer comments . X-Ray is a new feature that offers referencing tools that let you explore the "bones of the book". You can see, for example, how regularly and where in the book specific words, phrases, characters and locations appear, and follow links to Wikipedia and Shelfari, Amazon's community-powered literary encyclopedia. While X-Ray makes much of the fact that every word in an eBook is searchable, we can't imagine many readers wanting to get a word-byword analysis of what they're reading. For someone looking to buy a new Kindle, it’s worth spending the extra £20 on the touchscreen version because it's easier to browse through books and search Amazon's store. But it isn't a big enough improvement to make existing Kind le owners throw out their old devices. The £169 3G version is only worth buying if you’re going to be spending a lot of time away from a Wi-Fi connection.